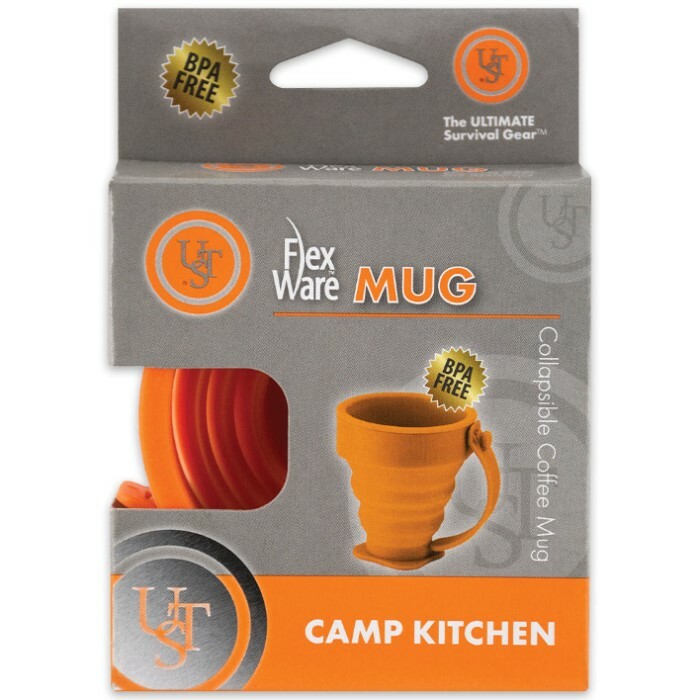 UST FlexWare Mug Orange | BUDK.com - Knives & Swords At The Lowest Prices! 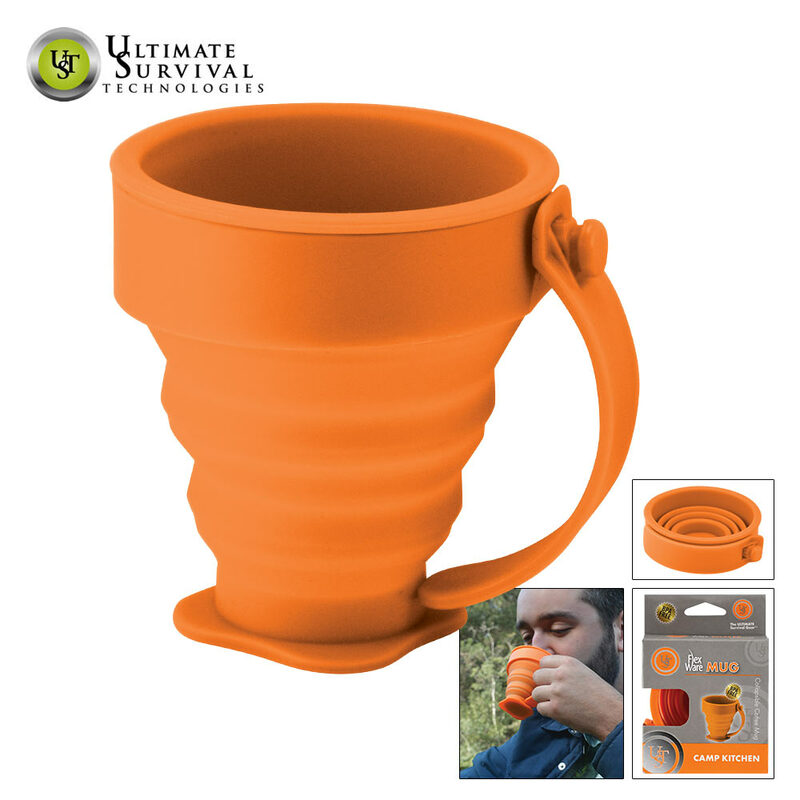 This is a cup that is made to meet whatever elements you find yourself in because it can withstand temperatures up to 300°F (149°C). This is because it’s made of heat-resistant and flexible food-grade silicone that collapses to a compact size for easy packing. As an added benefit, the handy carabiner lets you clip it to your backpack or gear and it is dishwasher and microwave safe. 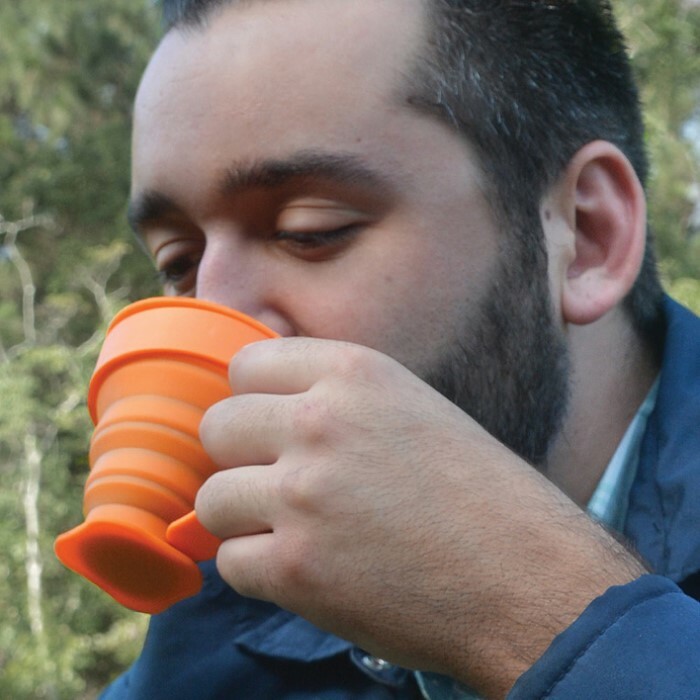 The fold-out handle makes drinking hot beverages easier. It will hold 6.8 fl. oz.